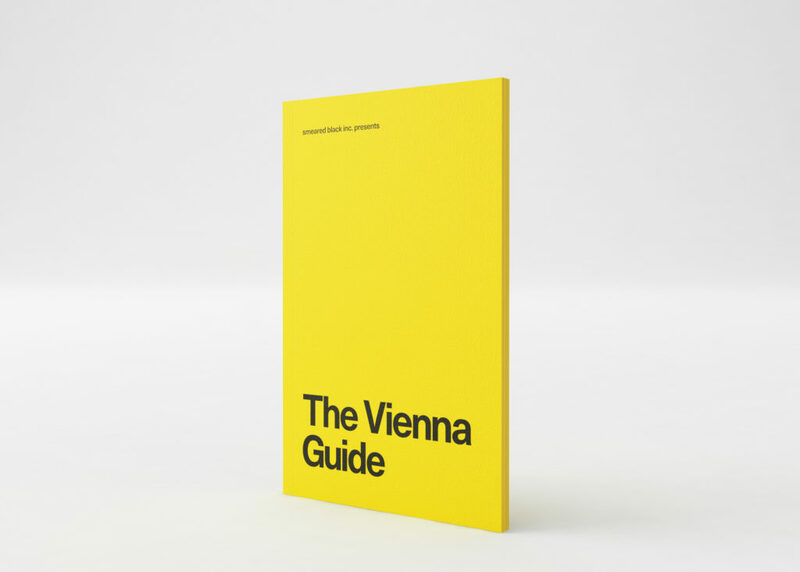 The Vienna Guide is conceptually built upon ‘travel notes” compiled and edited on the occasion by artist Tony Cokes. Adopting the point of view of the flaneur, Cokes creates a speculative image of Vienna by appropriating and meshing non-art, historical figures, touristic clichés and club nights, all entwined in technological commentary. This distant gaze – Cokes hasn’t visited Vienna in the last 20 years – facilitates an aerial view of the complexities and unique traits that characterizes it. Commissioned by Attilia Fattori Franchini the Guide proposes to approach Vienna – and any urban site – as a discursive platform for future possibilities and identities. The Vienna Guide by Tony Cokes comprises 3 stickers of video stills of Cokes’ videos Could you visit me in dreams? (2018), published in an edition of 150 + 25.